This statement was published in the October 1937 issue of “Women’s Home Companion” referring to The Montgomery Farm Women’s Cooperative Market, now more commonly referred to as the “Farm Women’s Market” of Bethesda. The statement is still true today. During the tough economic times of the early 1930’s, a group of local farm women, struggling with declining prices on their farm goods, foreclosures, unpaid taxes and other grave financial challenges, joined together to find a solution to make a living and provide for their families. 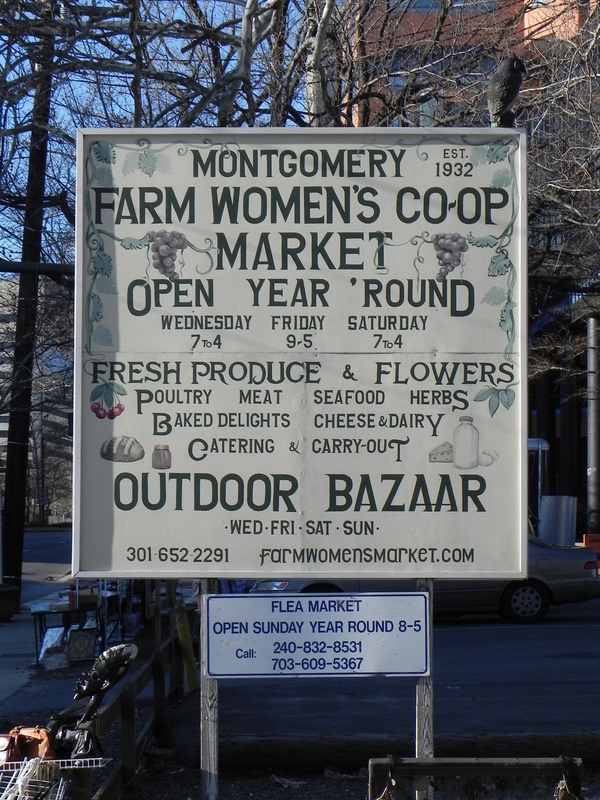 Together, they created the Montgomery Farm Women’s Cooperative Market, Inc. They spent two years planning, organizing and defining their standards for top quality goods before beginning to sell to local DC area residents. On February 4th, 1932, after advertising in newspapers and hand-delivering ads door-to-door, they opened their market for the first time and met with great success. In 1935, the women were told that the owners of the building that they rented wanted to sell. But after all they had been through, the farm women did not want to move the market. The President of Association, Mrs. Julian B. Waters, went to the bank to ask for a $50,000 loan to purchase the building but the bank had no faith that a bunch of farm women and their little market would be able to make good on the loan. Thanks to the persistence of Mrs. Waters and after a visit to the wildly successful market by the President of the Bank one Saturday evening (at Mrs. Waters unrelenting suggestion), the bank agreed to make the loan. Ten years later, in 1945, the Board of Directors for the Co-op burned their mortgage at their annual board meeting in celebration for having successfully paid back the loan. What a story! Today the market still operates from that same building located at 7155 Wisconsin Ave. now assessed at a value of over 4 million dollars! An impressive return on their $50,000 investment! The market has a fascinating and tumultuous history that is described in more detail on their website in a 1982 story that was published by the Montgomery County Historical Society. 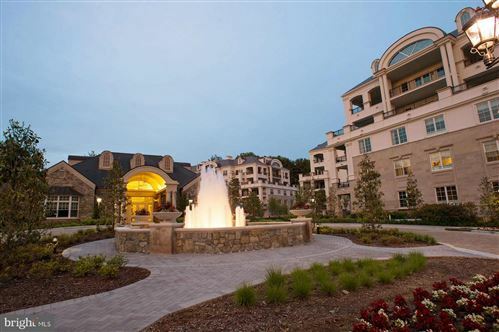 Today the market still operates successfully and is surely a Bethesda icon you should not miss. Many of today’s “farmers” are the children of the original founding women who started it all. The market is a great place to find local produce, baked goods, meat, seafood, plants and flowers, ready-to-eat meals and even personal chef & catering services. In addition, the market has expanded to include a flea market outdoors (weather-permitting) where you can find home furnishings, jewelry, antiques, collectibles, arts & crafts. By the way, March is jewelry month and April is the month for garden plants. Over 75 vendors now participate weekly. This entry was posted on Friday, March 4th, 2011 at 9:14 pm and is filed under Food and Drink, Historical Interest, Shops & Businesses. You can follow any responses to this entry through the RSS 2.0 feed. You can leave a response, or trackback from your own site.